Students and other NU community members gathered in Parkes Hall for the annual Black Jewish Freedom Seder, where they engaged in conversations on topics touching the black and Jewish communities. Students from different ethnic communities on campus came together Sunday night in Parkes Hall to discuss racial history and identity at Northwestern. 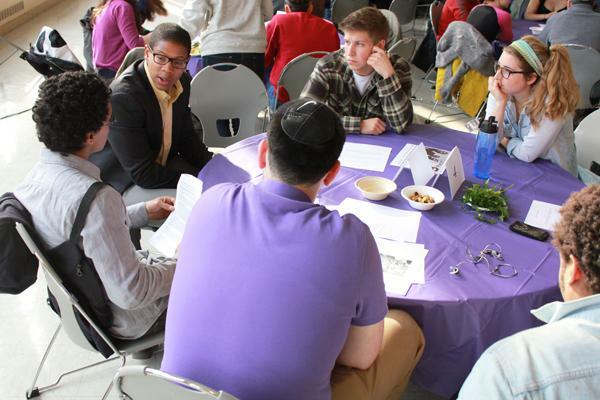 The annual Black Jewish Freedom Seder, an event sponsored by NU Fiedler Hillel, For Members Only and other campus groups, focused on fostering discussions among students from different backgrounds. “I think it’s a good way to bring together two communities that don’t often interact,” said SESP junior Ariel Shay, one of the event’s co-planners. About 100 people attended the Seder, which is in its 11th year. Attendees sat at round tables with about eight other people and engaged in conversations led by discussion leaders. Unlike previous years, when attendees stayed at the same table for the whole evening, this year’s students switched tables several times during the Seder. By the end, each student had sat at three different tables in order to interact with more people. Discussion leaders first posed questions about the history of black and Jewish students at NU. 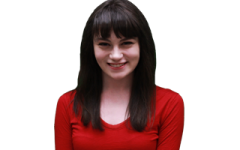 “The history of black people and Jewish people at Northwestern is not talked about enough,” said Weinberg junior Avra Shapiro, another co-planner. Information sheets at each table provided facts about significant events in the histories of both black and Jewish students at NU, such as the founding of FMO and the implementation of racial quotas , and about more recent events, such as the racial controversy surrounding maintenance worker Michael Collins. “I was surprised about how little people know about the history of diversity at Northwestern,” said Weinberg junior Tiara Starks, who participated in the discussions in addition to performing at the event as part of the Northwestern Community Ensemble. Subsequent discussions focused on racial and cultural identity among different groups at NU. Students talked about how cultural clubs, such as sponsoring organizations Hillel and FMO, brought students together, but sometimes also created a perception of exclusivity. Many students remarked about how they each tended to spend time with only people from a specific group, often one like Hillel or FMO that is based on a shared cultural identity. Students brainstormed ways to break down barriers. Seder organizer Serena Walker said that as a member of both the black and Jewish communities at NU, inclusivity was one of her main goals in planning the event. “I’m really passionate about bridging the gap between those communities,” she said. Bienen senior Rohan Thompson said he thought the discussions of the “shared frustrations” about cultural barriers between groups was productive. He said it would be a good idea for students to continue having similar talks. “I think having coffee talks with random people is a really good idea,” he said. Many attendees, like Starks, said they thought the event was a success. “It’s always good to have these conversations with diverse groups of people,” she said.